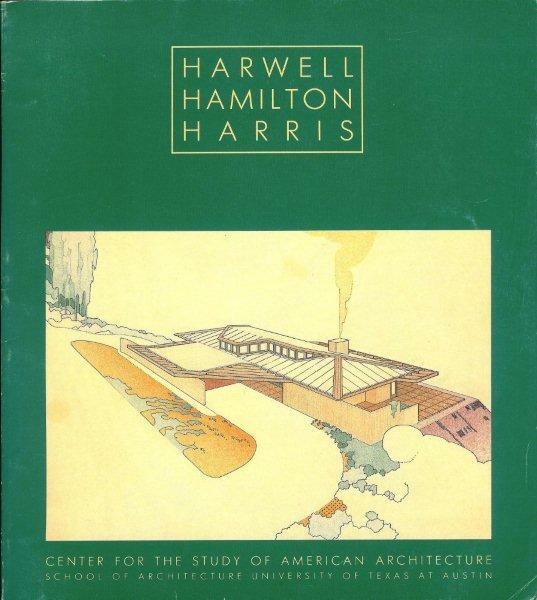 Harris's design language was forged by the influences of his architect father Frederick Thomas Harris's Redlands, CA turn-of-the-century eclectic, Craftsman and Mission Revival buildings and Richard Neutra's crisp International Style designs. (See Germany, pp.6-7). His individual form of modernism is likened by many to that of the woodsy "Bay Region Style" of William W. Wurster and his followers. http://unsworks.unsw.edu.au/vital/access/manager/Repository/unsworks:1138. 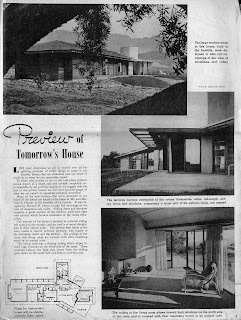 I discovered the above article on Harris's Otto G. Hermle House in La Canada in the May 6, 1945 issue of the Los Angeles Times Home magazine purchased at a flea market last weekend. The project wasn't cited in Esther McCoy's Harris chapter in her groundbreaking 1984 book "The Second Generation" or the 1985 Harris University of Texas exhibition catalog below, or Germany's above Harris monograph, nor was it referenced in the exhaustive project list in the Harris Archives at http://www.lib.utexas.edu/taro/utaaa/00001/aaa-00001.html. 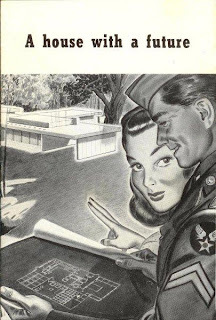 The article, illustrated with three Fred Dapprich photos and a floor plan, suggests that the best of the prewar houses are what we can expect in tomorrow's post-war house, thus one could assume that the house was built just before the war began. I would greatly appreciate any feedback on the location of this house. Many thanks to Nancy Sparrow, Curatorial Assistant at the Alexander Architectural Archive, Architecture and Planning Library, University of Texas Libraries, The University of Texas at Austin for identifying this house as the J. E. Powers Residence, La Canada, 1939. By the time of the article, the house had apparently come under the ownership of Otto G. Hermle. (e-mail from Nancy Sparrow to the author, June 28, 2012). 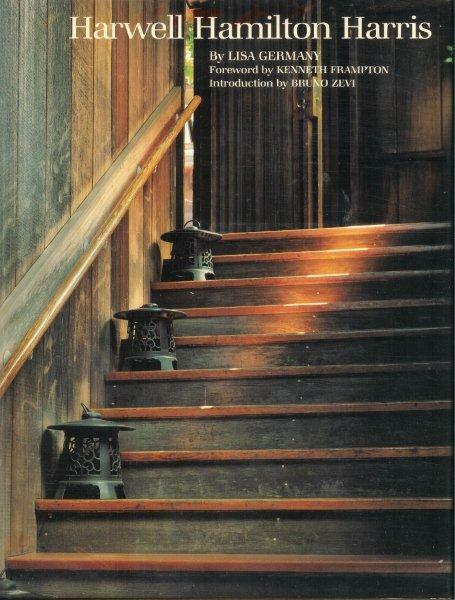 The Hermle House shares many elements of his 1938 Greta Granstedt Residence seen above on the cover of his 1985 exhibition catalog which also includes a comprehensive essay by Germany. The Granstedt house at 7922 Woodrow Wilson Drive in the Hollywood Hills is coincidentally very close to Julius Shulman's 1950 Raphael Soriano-designed house at 7875 Woodrow Wilson Drive, City of L.A. Cultural Landmark No. 325, which was just listed for sale at $2.495 million. 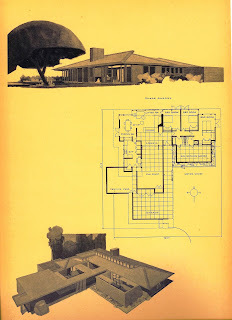 A good example of Harris's sense of futurism was his commission by the Revere Copper and Brass Corporation in 1942 to design "The Segmental House." 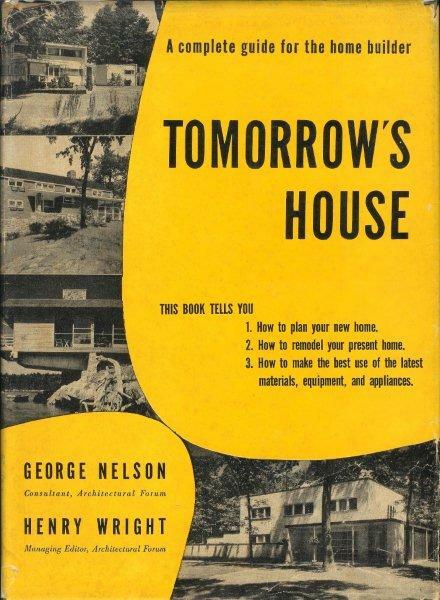 The rendering and floor plan of the basic initial module can be seen on the cover of the very interesting 12-page "A house with a future" booklet above. This unbuilt house was designed to facilitate later additions to meet the needs of a growing post-war family and was published as "The New House 194X" in the September 1942 issue of Architectural Forum. 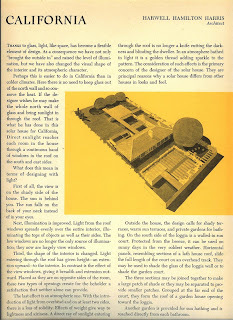 Harris also contributed a prescient 1946 design to a competition sponsored by the Libbey-Owens Glass Company which was compiled in the 1947 Simon and Schuster publication "Your Solar House" edited by Maron J. Simon (see scans above from my collection). 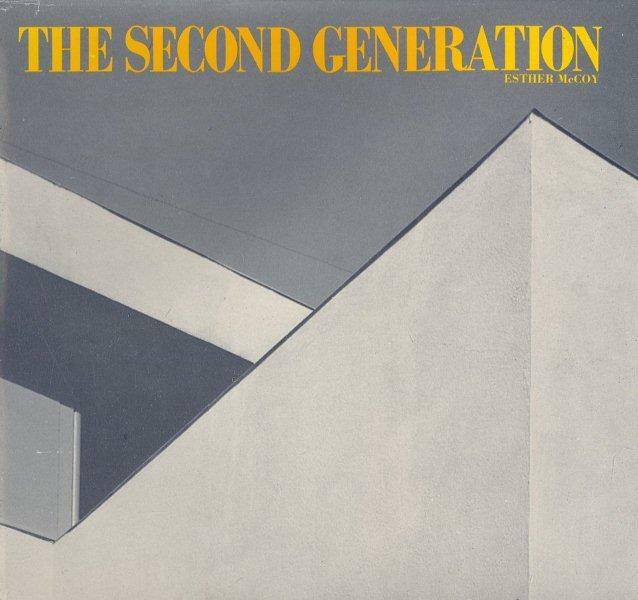 He beat out his mentor Richard Neutra on the second ballot for first prize (Germany, p. 107). He designed numerous other unbuilt projects with a futurist theme during the war for the post-war year 194X which are also cited by Germany. 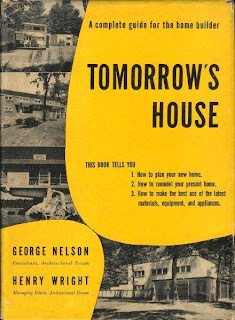 Harris was prominently featured in the 1945 "Tomorrow's House" (see above) which was a compilation of taste-meister George Nelson's best room-by-room features of "Modern" housing constructed to date, echoing the theme of the above Hermle House article. Fourteen photos of his work were included, significantly more than any other architect except Edward Durrell Stone who had fifteen. Included were his own 1935 Fellowship Park House in Los Angeles, the 1936 De Stiguer Residence in Pasadena, and 1935 Kershner House in Los Angeles with emphasis given to his sleekly designed interiors. Most of the national post-war compilations of modern houses, too numerous to mention here, and exhibitions at New York's Musem of Modern Art also contained work by Harris. There is much yet to be learned and shared about Harris and it is my hope that this post will stimulate more research on his extremely interesting career. As always I encourage any comments, public or private, on this and any of my posts.